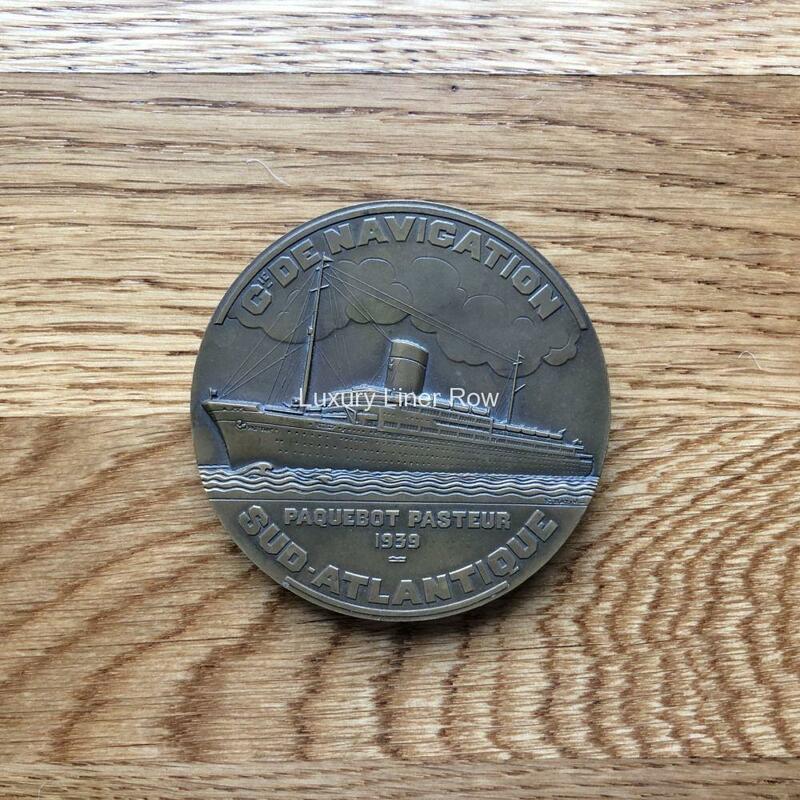 Much sought-after, rare bronze medallion produced by Compagnie de Navigation Sud-Atlantique for their famous steamship Pasteur. 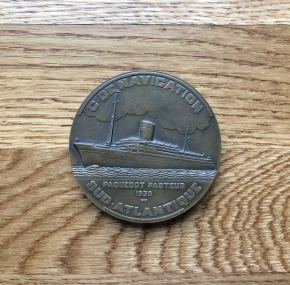 These are quite desirable since, as you know, she never really entered her intended service so very few medals were ever made for her. Because of WWII treaties, the Germans weren’t allowed an ocean liner of their own for 10 years after the war and even then only a second-hand ship was allowed. 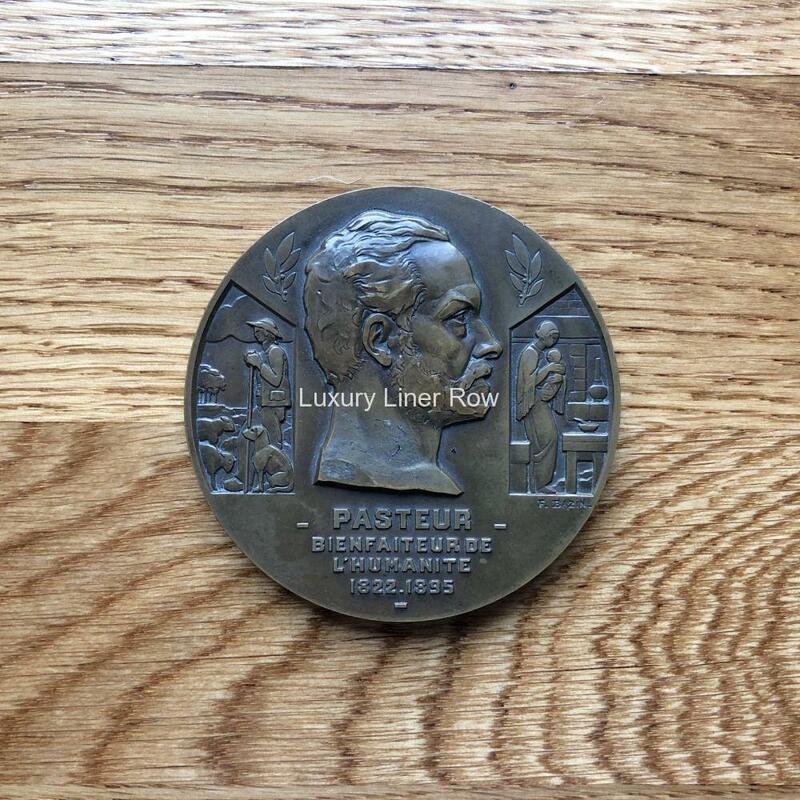 Thus the Pasteur was sold to the Germans and became the well known ss Bremen, making her maiden voyage in 1959. 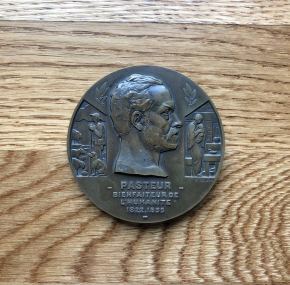 In excellent condition and measuring just over 2.5″ across.